This weekend is Superbowl weekend!! And you know what that means? Superbowl parties with lots of yummy food! Actually, I don’t have any Superbowl plans, and I despise the Giants (Sorry bloggies, I’m an Eagles fan). So, I’m not all that excited about the Superbowl this year, but I love football, so I still plan on watching! 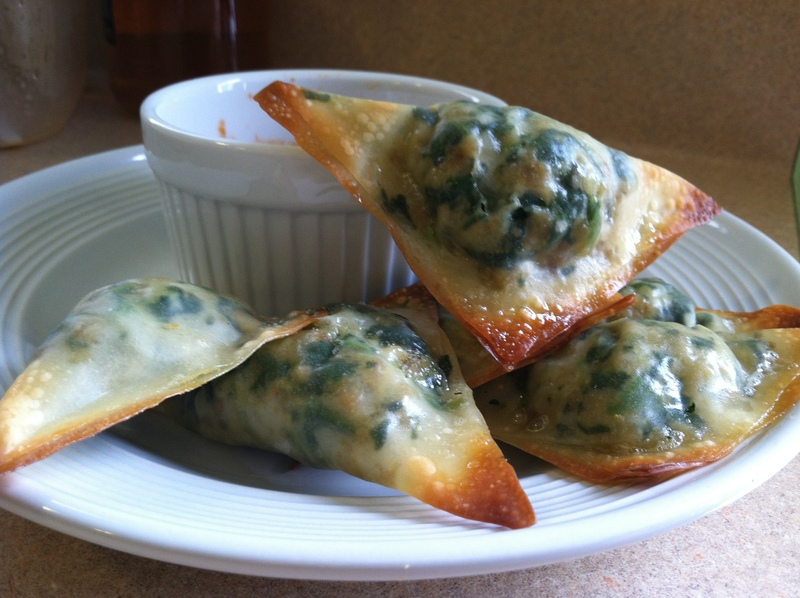 Anyhow, when I was at my cousin‘s house on my way down to Tampa, we made a meal that would be a perfect Superbowl Party snack: Italian Wontons! 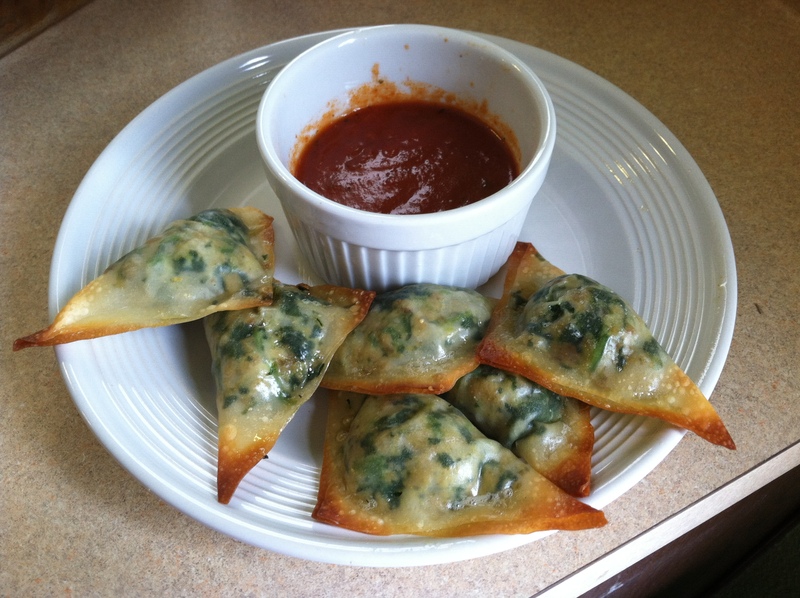 Crispy baked wontons with a cheesy meatball and spinach filling, served with marinara dipping sauce. Yumm! They’re pretty simple to make, but a little tedious to stuff and seal. 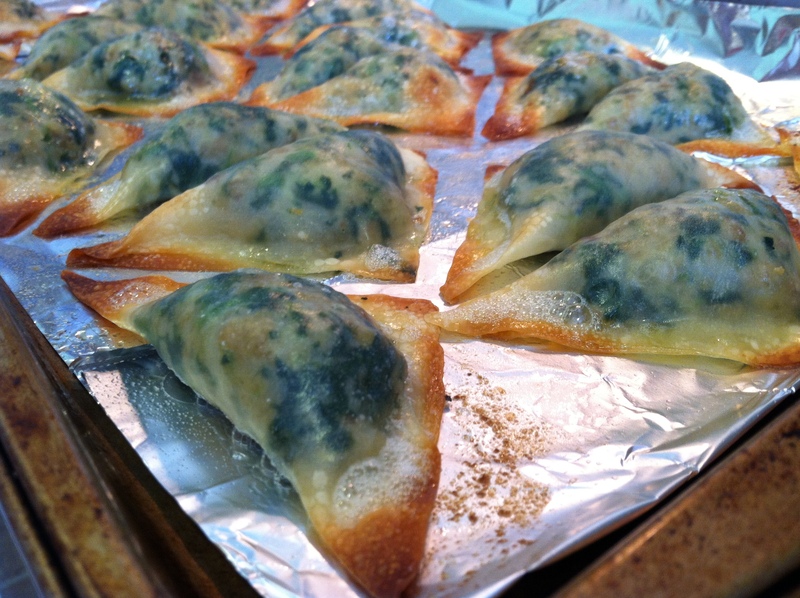 These got the stamp of approval from both of us, and even Tara’s 1- year- old daughter gobbled up the filling! 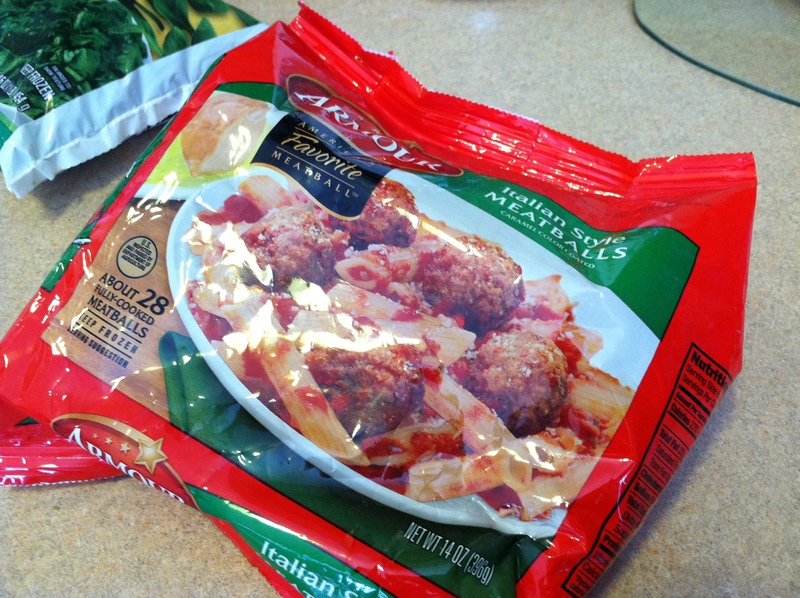 Cook the meatballs as directed on the package. 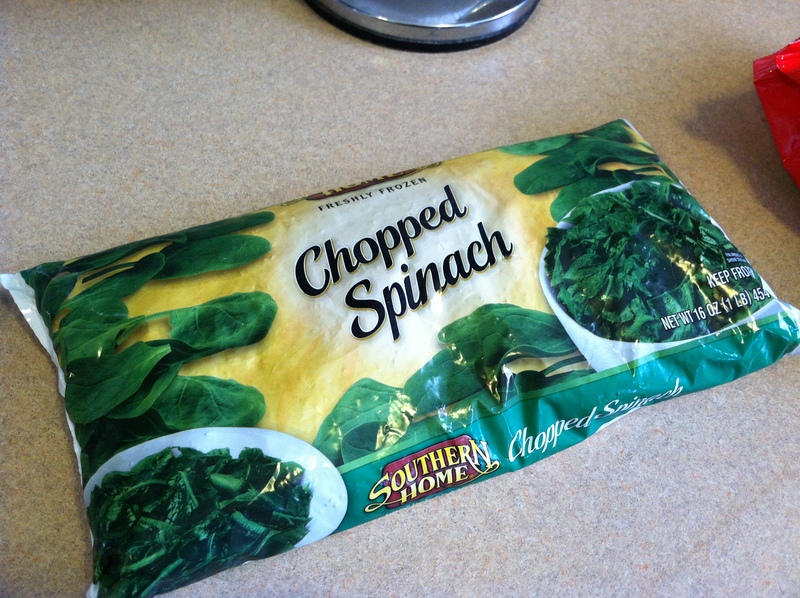 Puree the meatballs, spinach, and onions together. 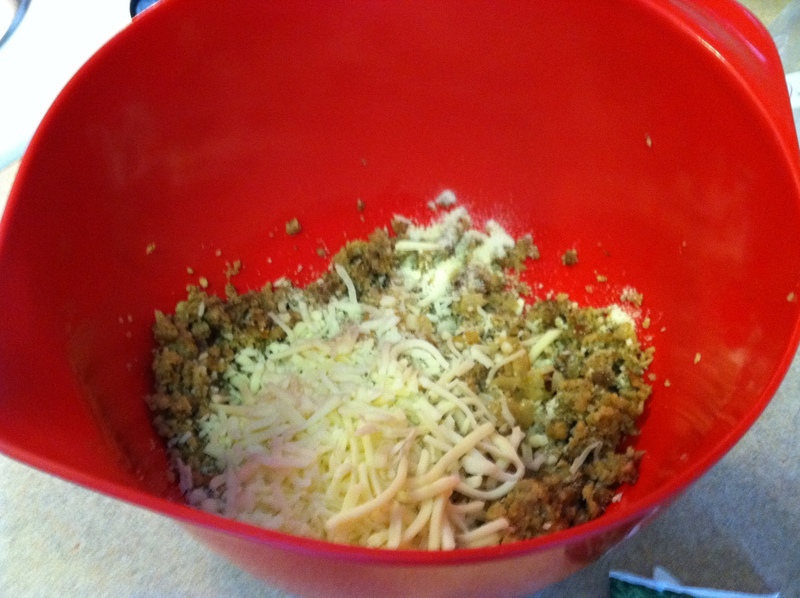 In a bowl, stir together the egg, cheese, onions, and meat mixture. Line a cookie sheet with foil, and spray with cooking spray. Stuff the wontons and put them on the tray. 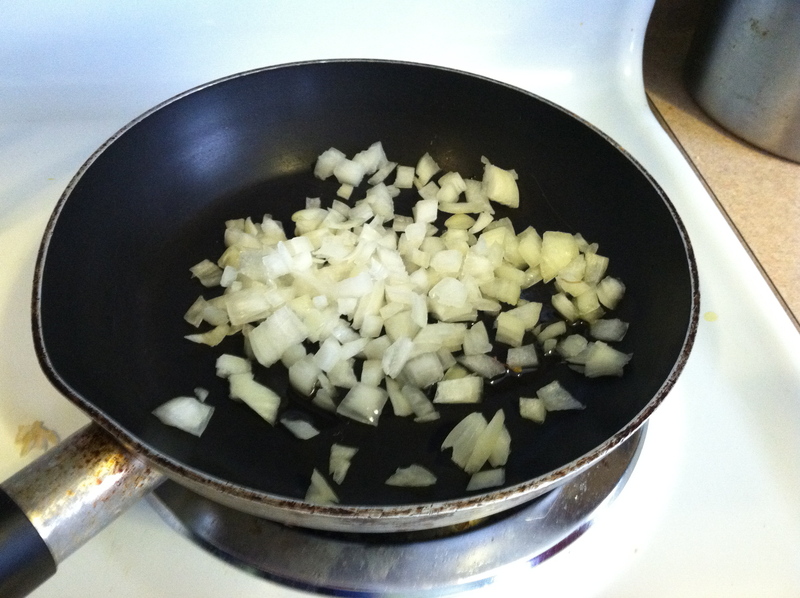 This works better as a two person assembly line: one person puts about a tablespoon into the center of a wonton. The other person dips their finger in water, and dabs the water along two adjacent sides. 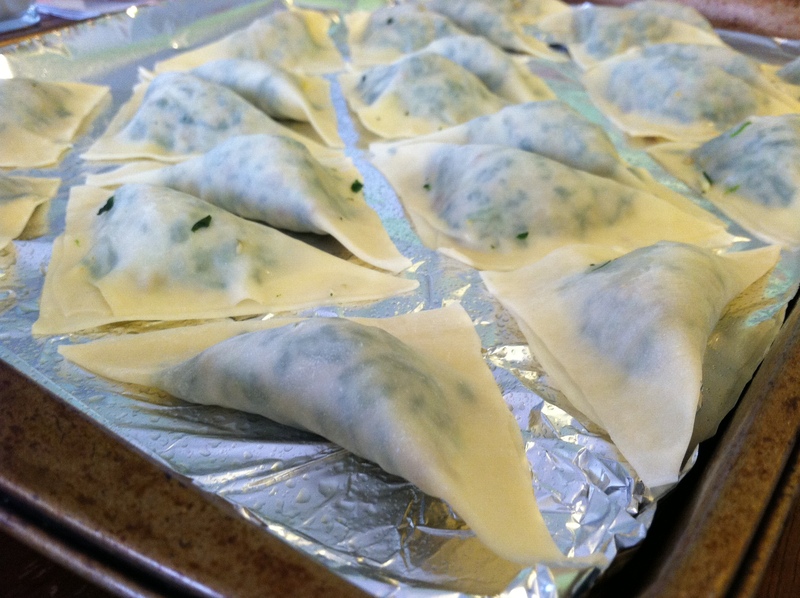 Then, fold the wonton over, sealing the dry sides to the wet sides. Pinch out all the air. 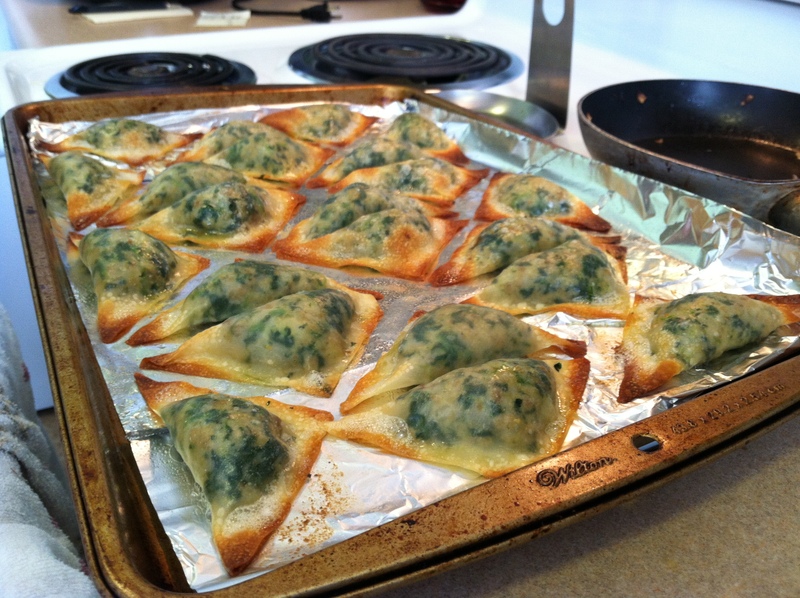 Spray the tops of the wontons with cooking spray and bake in a 415°F oven for 10-12 minutes, until the edges are crispy. Gotta love those crispy edges!! 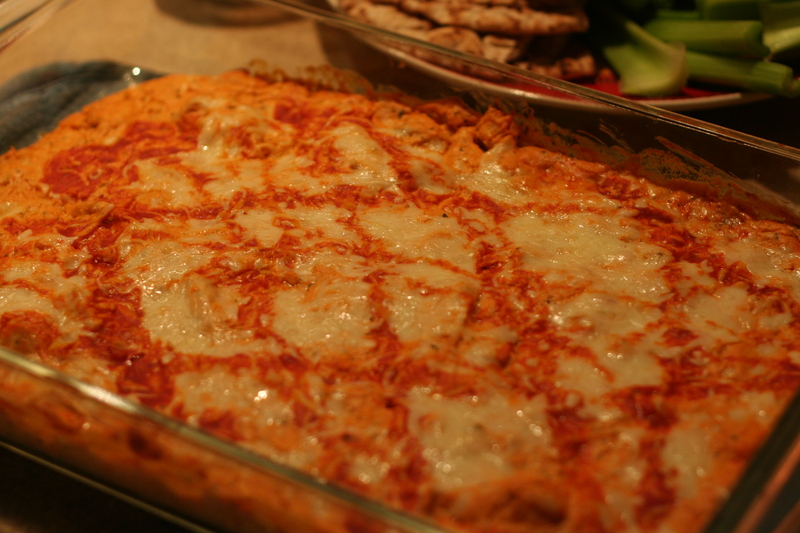 Serve with marinara sauce on the side, and dig in! Question of the day: Are you going to a Superbowl party? 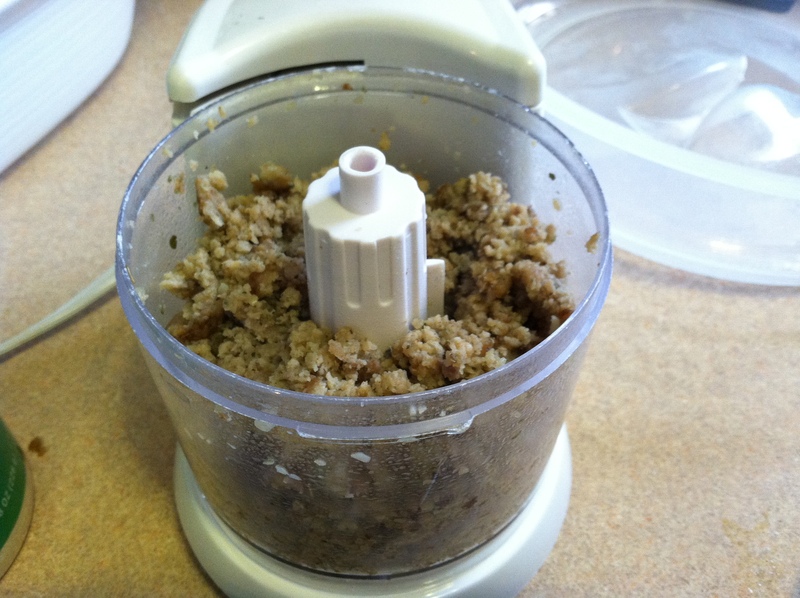 What are you making?